In this article, we identify the possible causes of your ankle pain and offer solutions which will not only help to eradicate the problem, but will also help you to avoid any recurrence of ankle pain in the future. Golf-related foot and ankle injuries can be caused by traumatic events, but are more likely to be the result of overuse and many can be directly related to the mechanics of the golf swing. 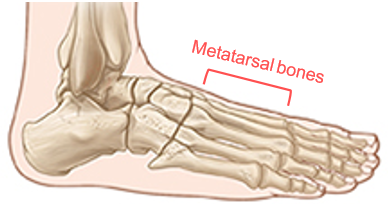 One of the more common complaints is an inter-metatarsal neuroma. It typically occurs in the third interspace and is almost always in the lead foot owing to the repetitive force placed on the nerve between the metatarsals as the momentum of the downswing causes the forefoot to move from its initially everted (rolled in) position to an inverted (rolled out) position in the follow-through. Irritation of the nerve is more noticeable in the full swing. As the lead foot inverts and the trail foot supinates, the common interdigital nerve gets irritated within the third inner- space. 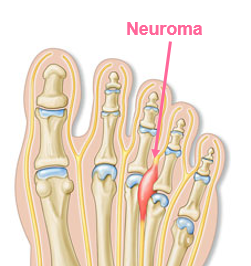 This nerve unit then enlarges due to the irritation and the classical neuroma symptoms develop. These symptoms include burning, numbness and shooting pain into the toes. 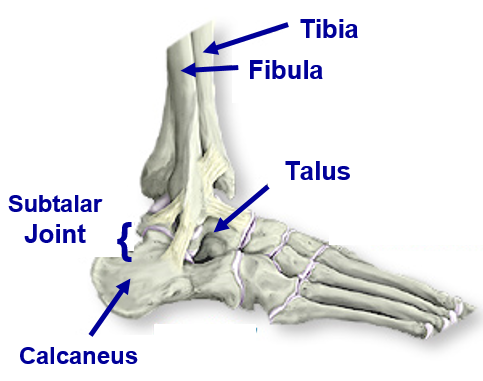 Equally stress on the ball of the trail foot that pivots to help drive the golf club through the downswing can similarly cause capsulitis of the second toe, neuromas, and increased pain in the big toe joint. Any weakness in the trail ankle will inhibit its ability to ‘drive’ weight transference during transition, downswing and follow-through, so making sure that your ankles are good and strong is vitally important for the health of your swing. When a problem manifests itself, it might be advisable to adjust the mechanics of the swing to decrease the inversion and supination of the foot. Turning out the lead foot 20°-40° at address will decrease the inversion at the end of the swing and decrease the mechanical irritation of the nerve. Restricted hip flexibility can cause increased lateral slide, which, if the hip moves beyond the line of the knee and ankle, can transfer excessive loading onto the outside of the lead foot during the follow through and thus destabilise the lower body with potentially injurious results for both the lead knee and ankle. Lateral ankle pain occurs owing to excessive motion of the rear of the foot during the follow through. The forces applied to the legs cause an abduction of the lead knee and a supination of the lead foot with effective eversion of the trail foot. On longer shots, this force can strain the ankle ligaments and peroneal tendons to the point where they cause pain. Repetitive strain will cause laxity of the lateral ankle ligaments and predispose that ankle to easier spraining. 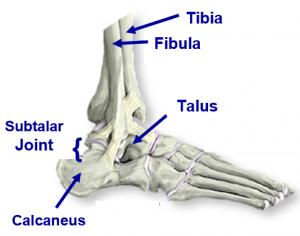 Symptoms include lateral ankle pain and lateral midfoot pain. 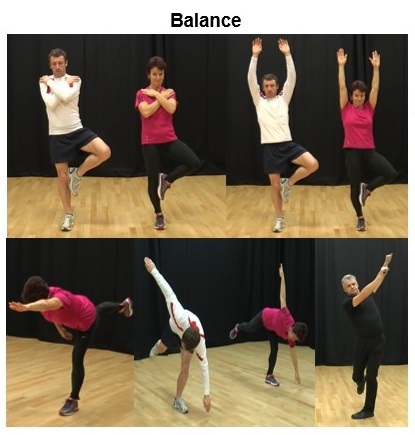 Mechanically, one can reduce the risk of lateral ankle pain by flaring the lead foot out toward the target at address. Walking a golf course, frequently on undulating terrain, makes considerable demands on the endurance strength of muscles in your feet, ankles and knees. It will certainly take its toll on any areas of weakness and may well compromise your swing mechanics in the later stages of your round. 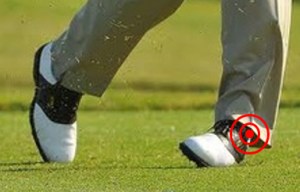 When addressing the ball on sloping surfaces, any weakness in your ankles will make it more difficult to maintain balance and distribute weight appropriately across both feet during the swing.The amount of weight, torque and stress imposed by the golf swing through impact makes huge demands of the lead ankle, which often rolls outward into inversion in its effort to absorb a combination of both lateral and rotational forces. You can help by improving the range of motion of the joint and strengthening the muscles around it (which, incidentally, will also reduce your risk of knee injury, because if your ankles aren't sufficiently mobile, the knees will be required to perform compensatory movements that they aren't designed to do). Good levels of ankle strength and mobility are crucial to the swing. They enable you to maintain posture and balance, rotate around the lead leg, drive weight transference, use GRF to create clubhead speed, absorb all stresses and improve your chances of playing all eighteen holes without technical compromise.